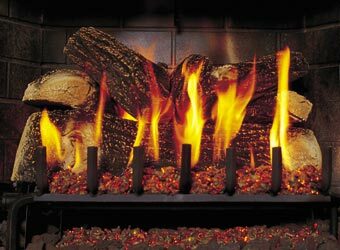 Aspen Industries manufactures the MASTER FLAME fully-vented gas log systems, offering superior craftsmanship, lifelike detail, enhanced color and higher aesthetic appeal. Our latest design features rear-elevated back log supports for a brighter, fuller flame and the most natural wood-burning look. Select single, triple burner oe "see-thru" designs. Or for that special and unusual look, check out the new ROYAL SERIES adjustable gas coal effect burners and baskets. MASTERFLAME brand Fire Pit Safety Screens are available for either square or round firepits. Aspen Industries also makes fire pit grates, fire rings, pokers, covers, snuffers and other accessories. Aspen Industries is a master distributor of Chicago Brick Oven Products. the kind of wood you prefer. Contact Us to obtain the name of a dealer nearest you or click "WHERE TO BUY." Screens, Grates, Pokers, Fire Pit Rings and More! Aspen Industries is a member of the Hearth, Patio & Barbeque Association (HPBA).